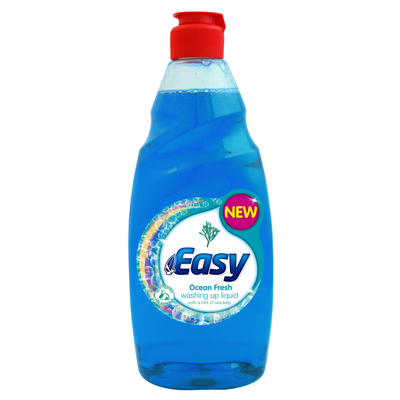 Keep all your cutlery in pristine condition with the Ocean Fresh Washing Up Liquid. An ideal choice for busy catering environments including those in nurseries and offices, this 550ml bottle can be stored beside the relevant sink for easy access. The concentrated formula creates a liquid that is economical in use while effectively cutting through fat and grease. This washing up liquid transforms into a foam upon impact with water, making it more effective on each use and a great option for larger cooking utensils including pans and grills. For an alternative choice, our Gompels Everyday Washing Up Liquid is available online in larger 5 litre bottles - an ideal choice for catering environments.